Synergy is a client-server application that allows us to control with a keyboard and mouse several machines. 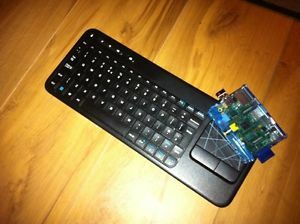 Imagine you have an iMac, a PC and the Raspberry Pi. Installing this app allow you to use the keyboard and mouse of one of the teams in all three, so no longer need three keyboards and three mice and save you to keep your desktop clean (which you needs). It's explained more clearly in the next blog.